Andrea is one of less than 300 Masters of Wine in the world and has worked in the wine trade for over twenty years. Andrea brings an honest, commercial, and approachable understanding to wine, built over many years in a combination of buying and marketing roles. She has worked for various companies ranging from Booker Cash and Carry to Grants of St James’s, prior to establishing her own consultancy and training company. Throughout this time she has travelled extensively in most wine regions of the world but particularly Spain, Italy and France. 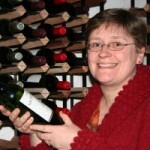 Andrea holds the WSET Diploma and became a Master of Wine in 1996. She is also an approved tutor for the WSET and has undertaken City and Guilds qualifications focusing on teaching and training adults. Andrea’s work focuses on corporate training, WSET certificates courses, wine courses, tasting and lectures for private groups, as well as consultancy, writing and team building events. Master of Wine, WSET Diploma, WSET Higher Certificate, WSET Certificate, The Walter Sichel Scholarship, The Port Wine Award, Approved Programme Provider and Certified Educator for the WSET, Member of the Institute of Masters of Wine, Member of the Association of Wine Educators, Member of the Institute of Wine and Spirits.